At an event in Delhi on January 10, 2018, Samsung launched the Galaxy A8+ making it an Amazon exclusive product for India. In 2015 we first saw the Galaxy S8 debut, a year later the 2016 model of the A86 was launched. 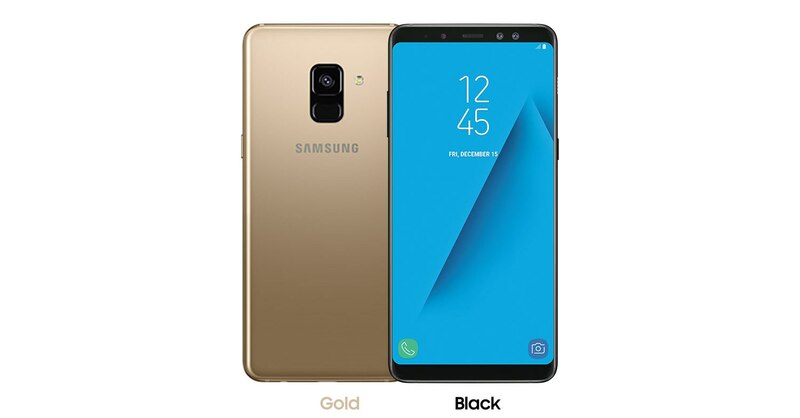 Another variant or probably the newer model was released as A8 2018 and Galaxy A8 plus 2018. Both the devices are pretty equal when hardware and software heads are compared leaving only the infinity display and dual front cameras for the A8 plus. RAM capacity, battery mAh, and storage also got a hike in the plus model. In this report, we shall be taking a look at the newer version, the Galaxy A8 Plus. The build is pretty good and seems a younger brother to the Galaxy S8 launched in 2017. Thickness is around 8.3 mm and comes with aluminum frame coupled with front and back glass covering. Overall weight counts to 191 grams which is indeed a bit to the heavier side. The device supports Samsung pay and is IP68 certified dust and water resistance. The display on the Galaxy A8+ features a 6 inch super AMOLED screen having 75.5 % body to screen ratio. Sports a resolution of 1080 x 2220 pixels which simultaneously produces 411 PPI as the pixel density. Corning Gorilla glass is on the front and back with always on display functionality inbuilt. Digging inside you will find the device to have Exynos 7885 Octa chipset on an Octa-Core CPU clocked at 2.2 GHz coupled with Mali G71 GPU for all the graphics being produced and handled by the device. You will get 6GB of RAM coupled with 64 GB of internal storage which is expandable up to 256 GB via micro SD card. Believe it or not, you still have Android 7.1.1 nougat out of the box with Samsung’s proprietary skin on the top. Oreo update for the device is still not known. The camera department is something really mouth watering. You get 16 MP rear camera with a f/1.7 aperture having autofocus and LED flash. The front camera is having the dual camera setup where the primary camera is a 16 MP sensor and the secondary one is an 8 MP shooter with f/1.9 aperture. The rear camera does take good pictures which are bright and clear. The rear camera again takes lighten pictures with amazing clarity and detailing in the dark supported by the f/1.7 lens having larger 1.12-micron pixels and bigger 1/2.8 inch sensor. The front shooter with live focus function takes selfies and wefies having good clarity and crispness. Another feature very particular is the Bokeh effect which does wonders here. 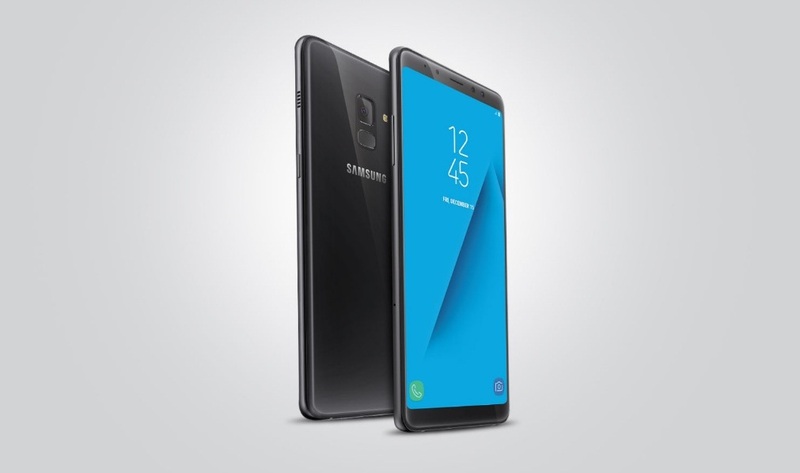 Connectivity features on the Galaxy A8 Plus include WLAN, Bluetooth 5.0, GPS, NFC, FM radio, USB type C 1.0. The fingerprint scanner is rear mounted with accelerometer, gyro, proximity, compass and barometer sensors inbuilt. The device also comes with face recognition for accessing your phone quickly and conveniently. Will be available online in two colours very peculiar for Samsung, Gold, and black. Samsung Galaxy A8 plus is powered by 3500 mAh battery which is non-removable and fast charging is supported here. Samsung Galaxy A8 Plus is scheduled to start sales exclusively on Amazon starting January 20, 2018. Price in India would be Rs. 32990.